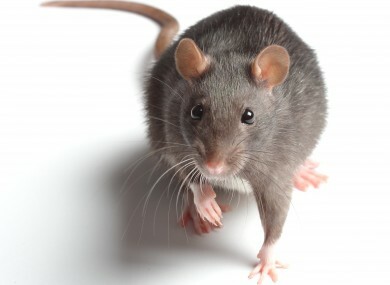 LABOUR TD KEVIN Humphreys turned ratcatcher last Friday afternoon as he helped catch a rodent spotted roaming the halls of Leinster House. The rat was spotted by Humphreys and one of his staff on the sixth floor stairs of Leinster House 2000, the more modern part of the Oireachtas complex, on Friday afternoon when most people had gone home for the weekend. The pair improvised in order to catch the rat, throwing a steel paper bin over the rodent before slipping a piece of cardboard under it to trap them. “We gave it to the ushers and then the specialists came in on Friday afternoon to make sure there weren’t too many of his furry friends elsewhere in the building,” the Dublin South-East TD told TheJournal.ie this morning. It’s believed there was also an incident involving a rat last Wednesday in Leinster House, but authorities are said to have the situation under control. Humphreys speculated that the recent rat arrivals could be as a result of Luas works being undertaken on nearby Dawson Street. The hero TD reported that there were “a few little screams, mainly from the men” when the rat was spotted and warned people working in Leinster House to “tuck their trousers into their socks”. Email “'There were a few screams... mainly from the men': Labour TD catches rat in Leinster House”. Feedback on “'There were a few screams... mainly from the men': Labour TD catches rat in Leinster House”.